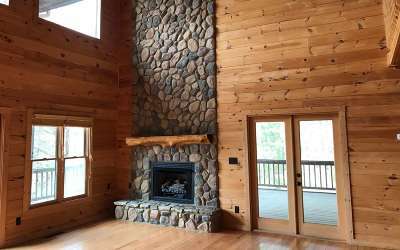 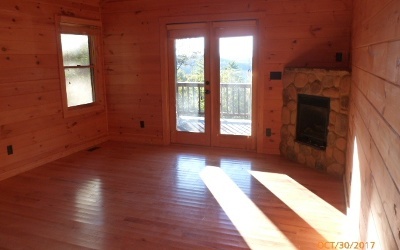 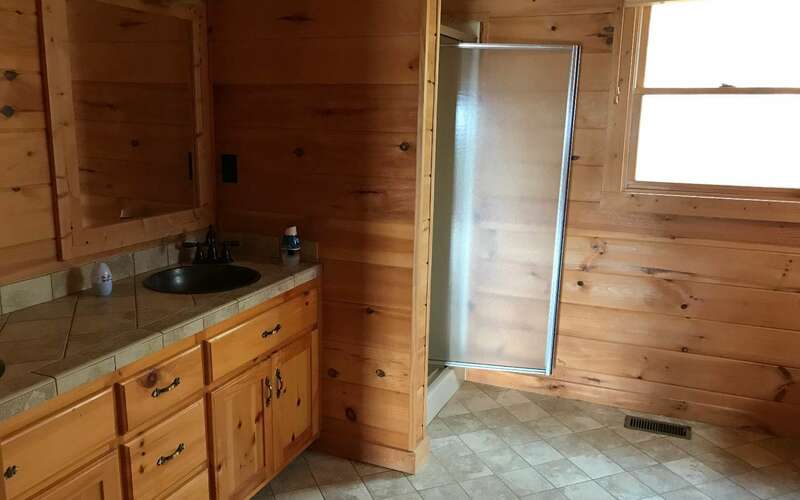 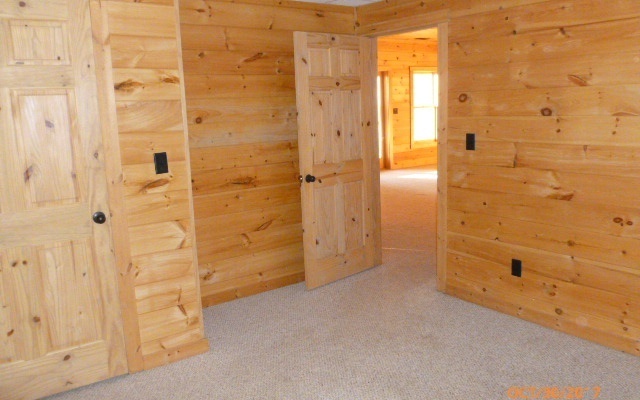 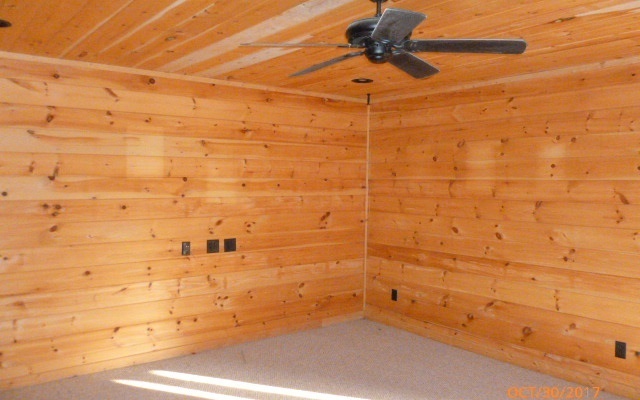 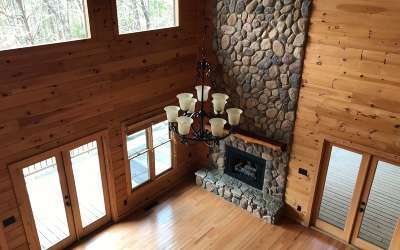 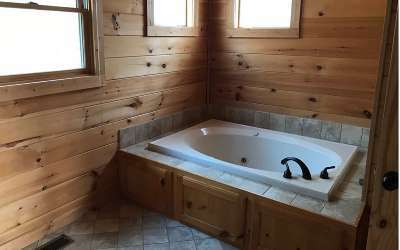 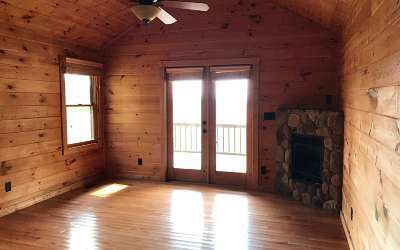 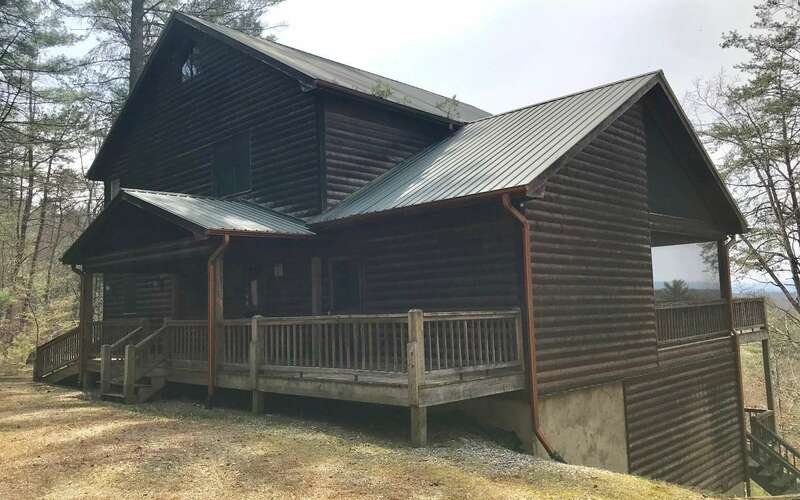 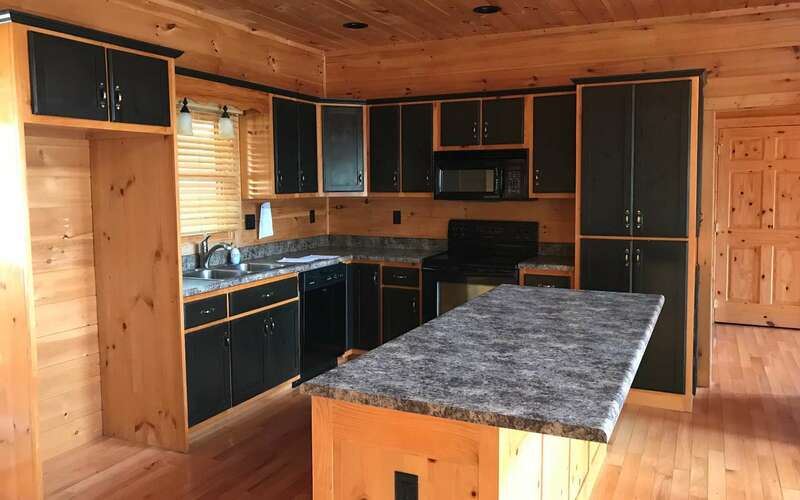 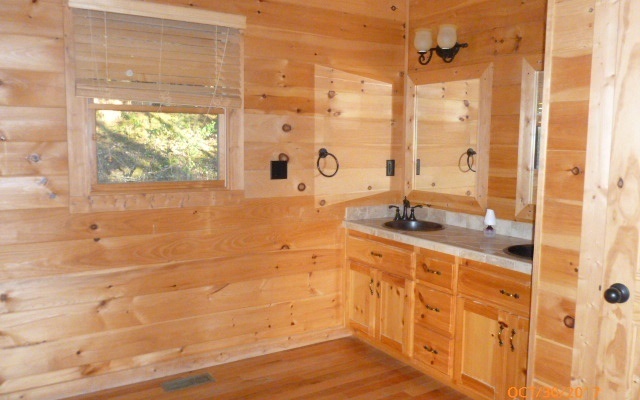 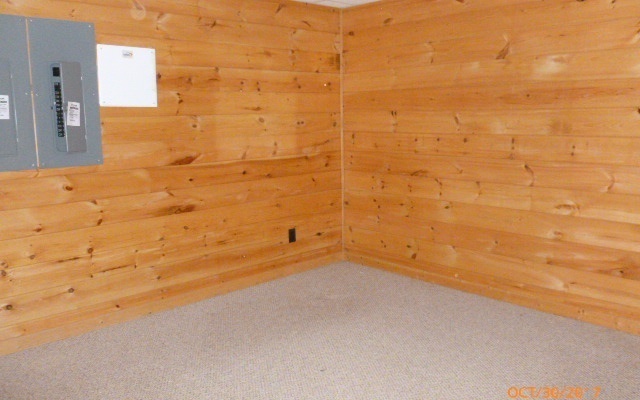 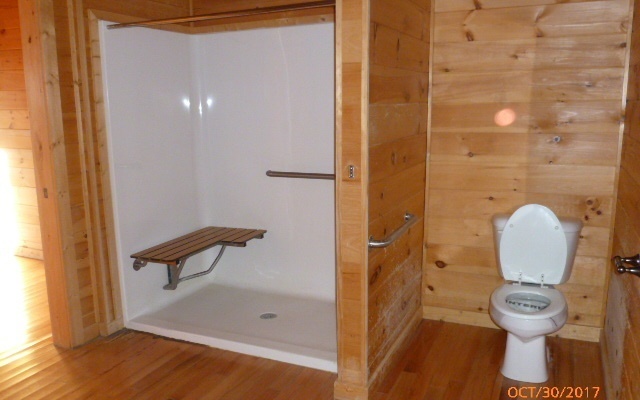 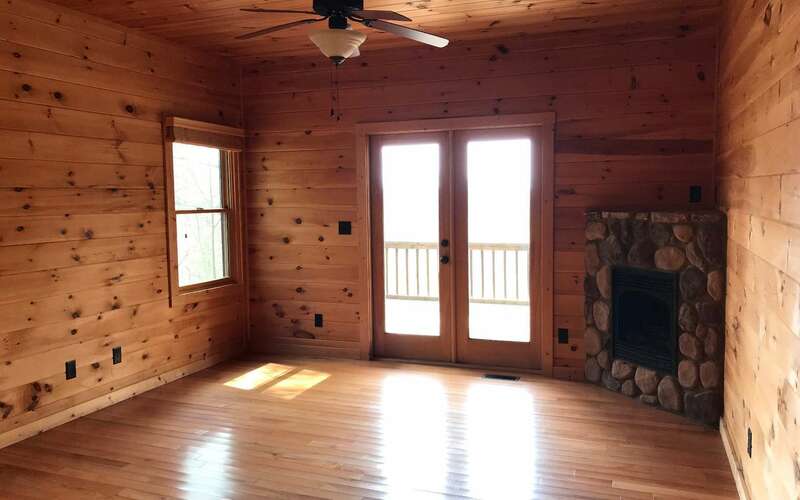 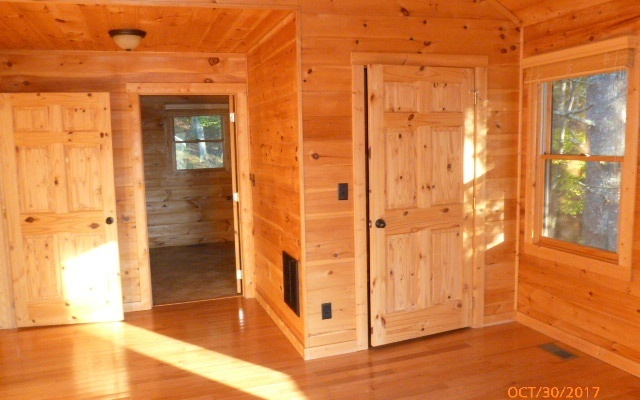 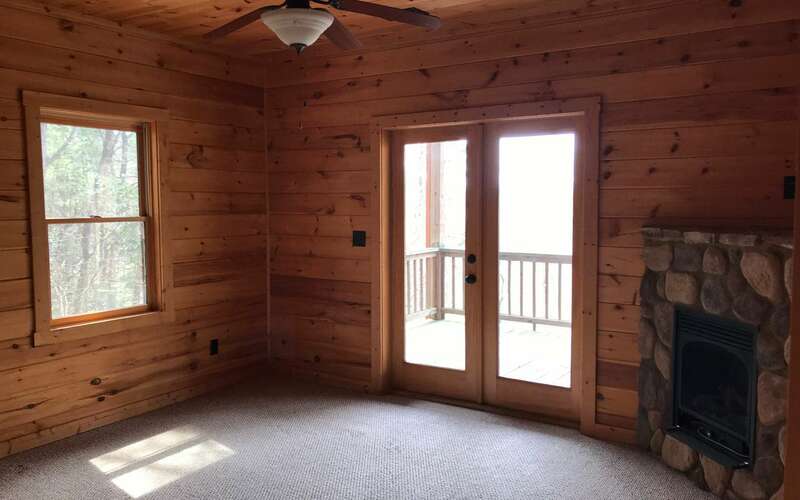 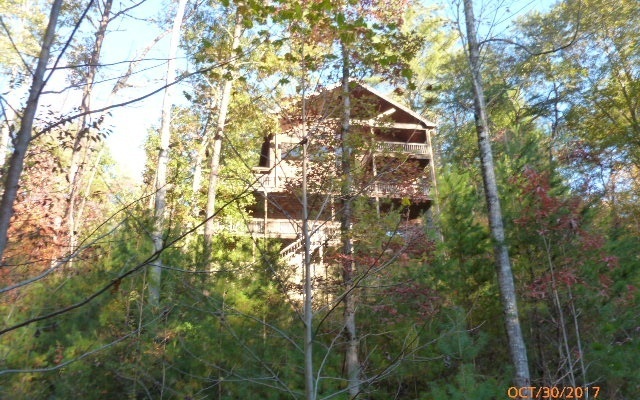 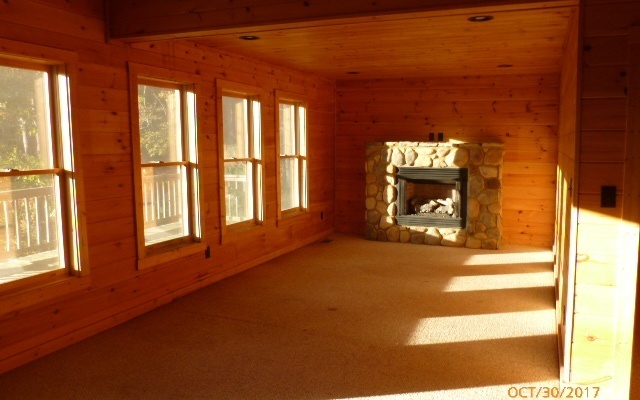 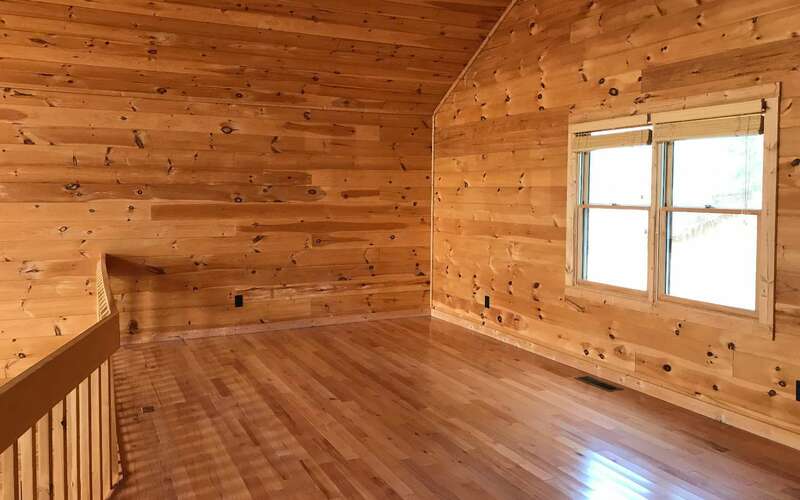 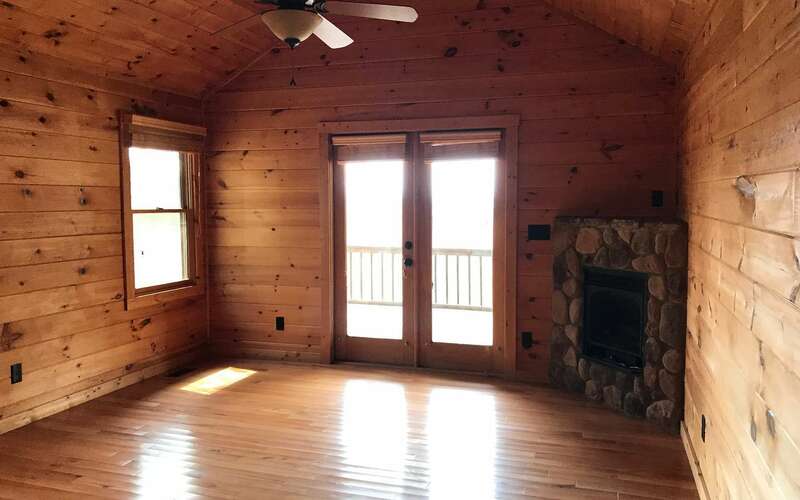 Great cabin home with four bedroom and three have there own fireplace. 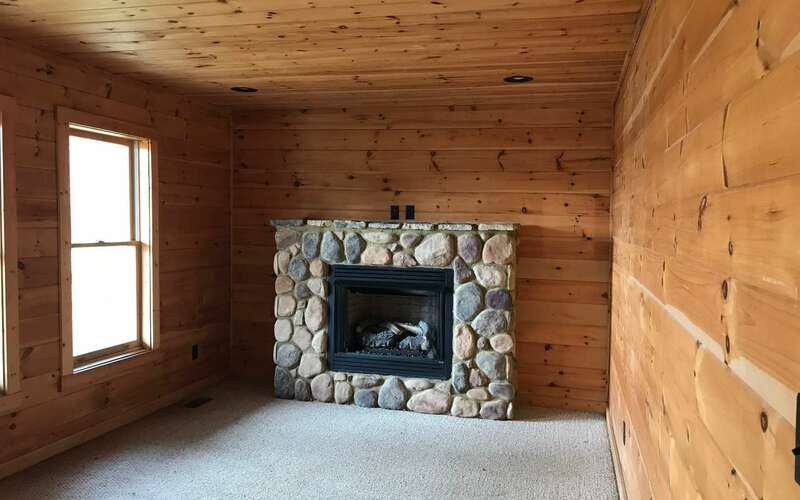 Great room has a fireplace as does the game room in the finished basement. 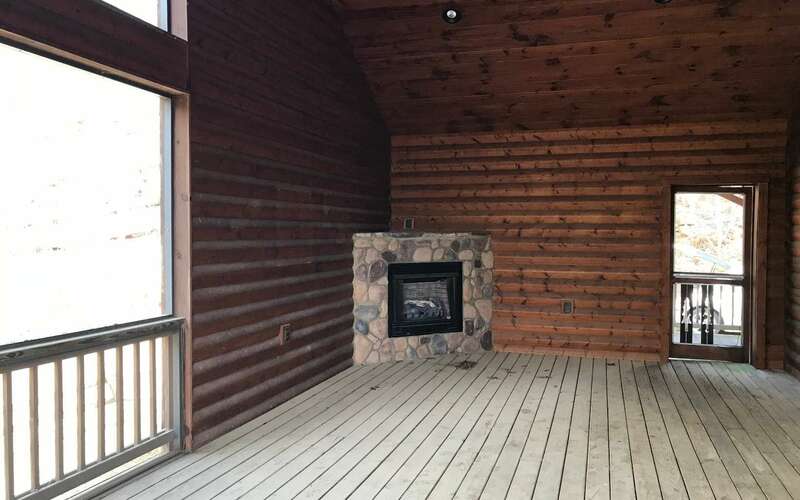 External fireplace in the screen porch at the side of the house. Lots of glass on the front of the house for the mountain view. 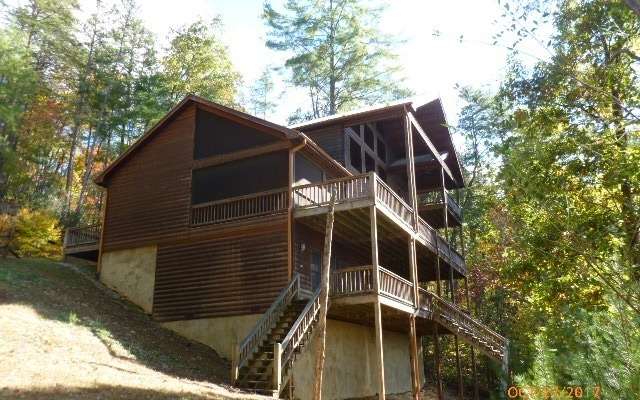 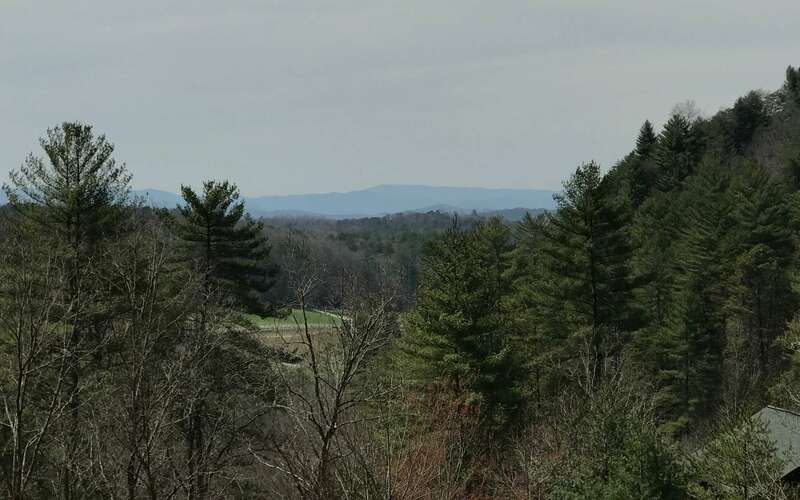 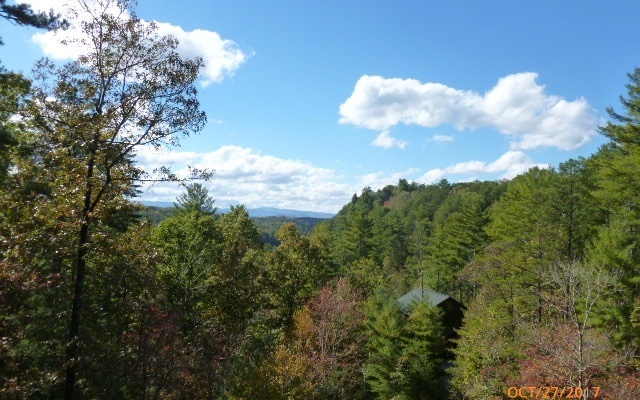 Easy access to hiking, lake and rivers as well as the town of Blue Ridge.